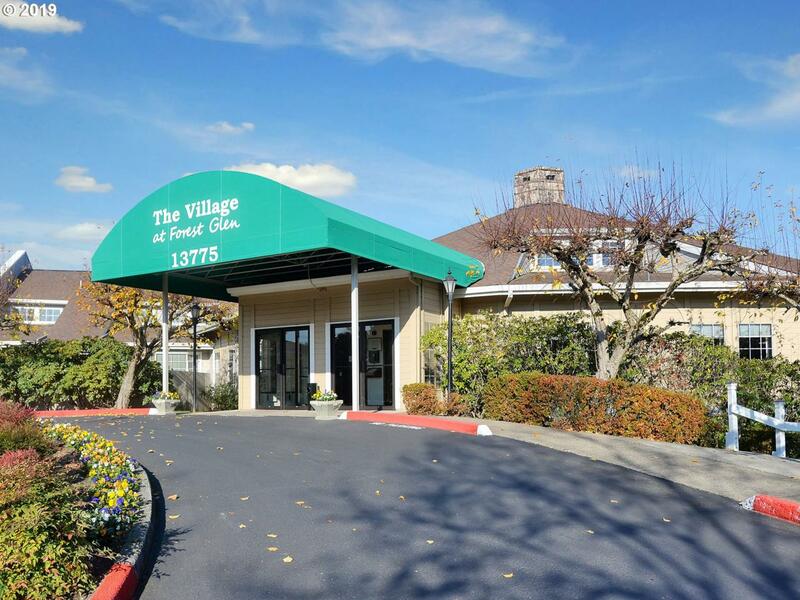 Fantastic single level condo at 55+ Village at Forest Glen. Oversized bedroom with extra flex space and large closets. Spacious living area with a bay window that opens up to a great patio space with shed. Very bright and roomy condo with lots of storage! The community boasts a pond, walking paths, library, crafts room, workout room & lobby area. HOA's include 14 dinners per month!